Singer songwriter Zak Ford hit the Food Festival music stage last weekend with his own blend of soul infused folk rock. 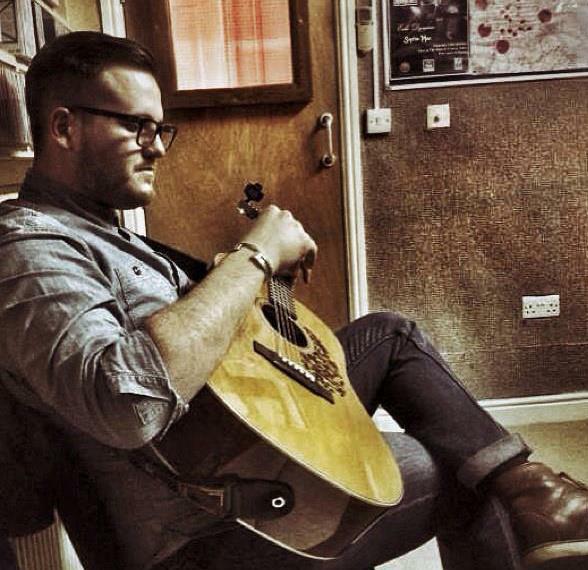 Probably one of the hardest working musicians in York, you can catch Zak gigging regularly across York and Leeds. For an acoustic singer songwriter, Zak has a huge presence on stage. A smooth, powerful voice with an impressive range is expertly backed by rich, guitar harmonies. With original songs that will stick in your head for days, he gets a huge sound out of that acoustic guitar and holds audiences captivated until the end of each set. As a recent addition to his set, he was accompanied by a female Cellist at this gig whose soulful vocals complimented his own nicely. His haunting melodies can be heard over on his BandCamp page. I’d definitely recommend catching Zak at one of his upcoming gigs. You can follow him on Facebook for all the latest info.